The three Sonobe Handpan that make up Fabian’s “Dream Trio” were made in Japan, by pan-maker, Ryo Sonobe. A maker we’ve been following since back in 2011. And as an interesting factoid, according to “The Book of PANArt”, Ryo Sonobe was the only Steelpan-maker to take the Hang-makers up on their offer of rawforms/shells, back in the early days of the Hang’s development. ‘I already played many different top Handpans but my favorite is still Sonobe. 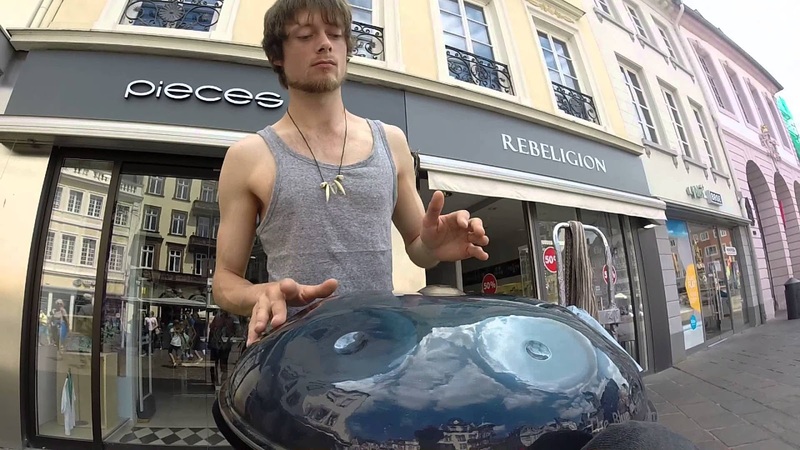 And the set of three Sononbe Handpan on which he currently performs, were custom made to fit perfectly together. We’ve been a fan of Fabian Kupper since back in 2014, when he was offering up some of our favourite Blue Point Steelharp videos. So it’s great to see that he’s still very much playing, and returns armed with such stunning new weapons in his arsenal. And with the taster track from Fabian’s upcoming album (going by the name "Trance-ZEN-Dance"), Groovin’ Deva, being last month's most popular, at HPT - we’re very much looking forward to hearing more, as future tracks are unveiled, and the album is released. And you can find more information on Fabian, and the album-in-the-works: HERE.